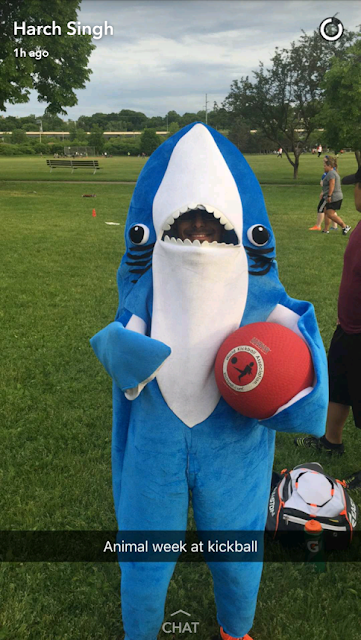 MN Twin Cities WAKA Kickball: BEST WEEK 2 OUTFIT - Harry from Moves Like Kick Jagger. BEST WEEK 2 OUTFIT - Harry from Moves Like Kick Jagger. Here's Harry, from Moves Like Kick Jagger, on Thursday night. He got a home run wearing this & wore the outfit all game. No great defensive plays, alas, but who expects that from an apex predator.